It is highly likely that the recovery rally of the Dow Jones Industrial Average and other major U.S. indexes will take a breather this Tuesday, as there is mounting evidence that China’s economy is slowing down indeed. As stated by the General Administration of Customs, China’s exports dropped 3.7% year-over-year in September, while its imports declined 20.4%. Meanwhile, the International Monetary Fund anticipates that the global economic growth will reach 3.1% this year, which represents the lowest growth rate since the financial crisis. Unquestionably, the growing concerns about China’s economic slowdown will put some weight on most U.S. equities as well. In the meantime, some corporate insiders have started to reduce their holdings, which may also serve as a bearish sign on their companies’ stock. 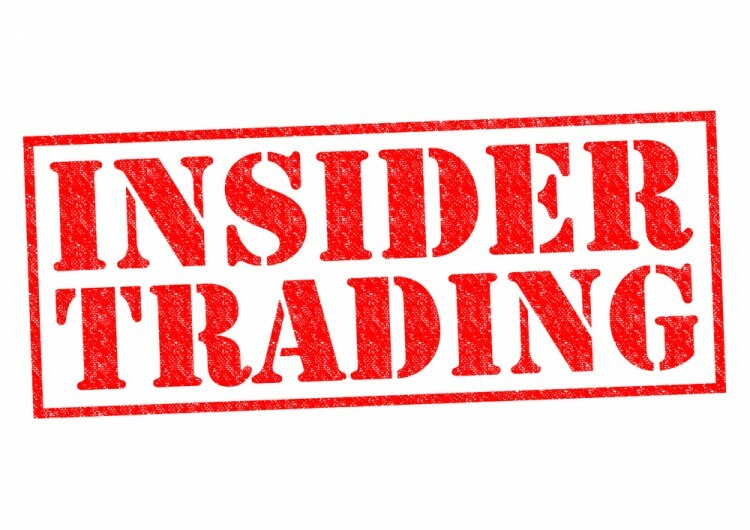 The Insider Monkey team pinpointed three companies that saw their insiders sell stock recently, so we will closely examine each company’s insider selling activity in order to find out what might have propelled these insiders to jettison shares. The companies in question are represented by Costco Wholesale Corporation (NASDAQ:COST), Ross Stores Inc. (NASDAQ:ROST), and Synopsys Inc. (NASDAQ:SNPS). Most investors can’t outperform the stock market by individually picking stocks because stock returns aren’t evenly distributed. A randomly picked stock has only a 35% to 45% chance (depending on the investment horizon) to outperform the market. There are a few exceptions, one of which is when it comes to purchases made by corporate insiders. Academic research has shown that certain insider purchases historically outperformed the market by an average of seven percentage points per year. This effect is more pronounced in small-cap stocks. Another exception is the small-cap stock picks of hedge funds. Our research has shown that the 15 most popular small-cap stocks among hedge funds outperformed the market by nearly a percentage point per month between 1999 and 2012. We have been forward testing the performance of these stock picks since the end of August 2012 and they have returned more than 102% over the ensuing 3 years, outperforming the S&P 500 Index by 53 percentage points (read the details here). The trick is focusing only on the best small-cap stock picks of funds, not their large-cap stock picks which are extensively covered by analysts and followed by almost everybody. Richard A. Galanti, who has been a part of Costco Wholesale Corporation (NASDAQ:COST) since the company’s beginning in 1980s, reported selling 5,500 shares through multiple transactions at sale prices ranging from $152.69 to $153.70. He also reported offering 1,000 shares as a gift. After these transactions, the Executive Vice President and Chief Financial Officer owns 40,446 shares, along with an additional 7,000 shares held indirectly via North Island Holdings LLC. Just a few days ago, Costco reported net sales of $10.75 billion for September, which marks an increase of 2% year-over-year. Furthermore, some analysts are confident that the company’s same-store sales figures will keep increasing in the months ahead despite operating in a competitive and challenging retail environment. The shares of the retailer have advanced by more than 8% since the beginning of the year despite being caught in the recent broader market sell-off. To sum up, it is hard to stipulate what might have guided the executive to sell shares, but the fact that the stock is currently trading relatively close to its all-time high might serve as an explanation. Warren Buffett’s Berkshire Hathaway represents the largest shareholder of Costco Wholesale Corporation (NASDAQ:COST) among the hedge funds tracked by our team with 4.33 million shares. VMware, Inc. (VMW) , Infosys Ltd ADR (INFY): Why Did These Stocks Fall Today... Why Are These Stocks Plunging on Monday? SkyWest, Inc., Lattice Semiconductor, Blue Buffalo Pet Products Inc: Why Are... Do Hedge Funds Agree with Jim Cramer on These Hot Stocks? These Two Stocks are in Spotlights Today for Very Different Reasons What Hedge Funds Have to Say about These 3 Trending Stocks?